What instructions do I need to give out when running a Hole In One competition in the UK? This is a question we get asked a lot at UK Hole In One, for while there’s plenty of articles on running hole in one competitions in the US and elsewhere, there’s very little about running hole in one competitions in the UK. So to help all of you who are thinking of running a hole in one competition in the UK, here’s UK Hole In One’s hole in one competition instruction template. N.B Obviously the first thing you need is hole in one competition insurance – the last thing you want is your hole in one competition leaving your club, brand, charity or business out of pocket! UK Hole In One can provide hole in one cover from just £99. To find out more and get a free quote, click here now. Even though we are running a hole in one competition today, the normal rules as laid down by the Royal & Ancient Golf Club of St Andrews will apply. If you’re in any doubt about any aspect of these rules, please ask one of the competition officials and they’ll be happy to help. When you make your attempt at the hole in one hole please make sure that one of the club’s competition officials is there to witness it. 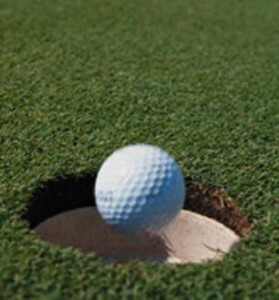 Each player is entitled to one shot at the hole in one hole. Practice shots are not permitted, though practice swings are fine. Should you make a hole in one on the prize hole you must continue and complete the round in order to be eligible for the prize. When you make an attempt on an ancillary hole your fellow team members will make for acceptable witnesses. Well we hope that gives you a clearer understanding as to what instructions you need to give competitors at your hole in one competition. If you would like any more specific help or advice regarding running a hole in one competition or would like to discuss a policy then please call us on 0345 370 2844, contact us by clicking here or for a policy quotation please click here.